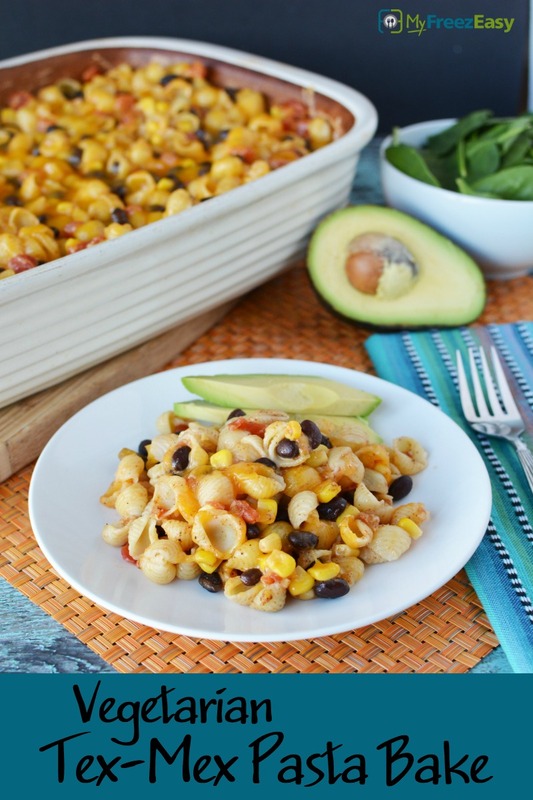 All the delicious Tex-Mex flavors mixed together with pasta and baked until the cheese melts to pull it all together. Cook the pasta, as directed. Drain and rinse with cool water. Pour into a 9x13-inch baking dish. Open and drain the black beans and corn. Open the diced tomatoes. In a large mixing bowl, mix together the black beans, corn, diced tomatoes, minced onion, garlic powder, chili powder, ground cumin, salt, and pepper. Pour over the cooked pasta in the baking dish and carefully combine. Sprinkle the cheese on top. Bake in the preheated oven for 10 to 15 minutes, or until cheese has melted. 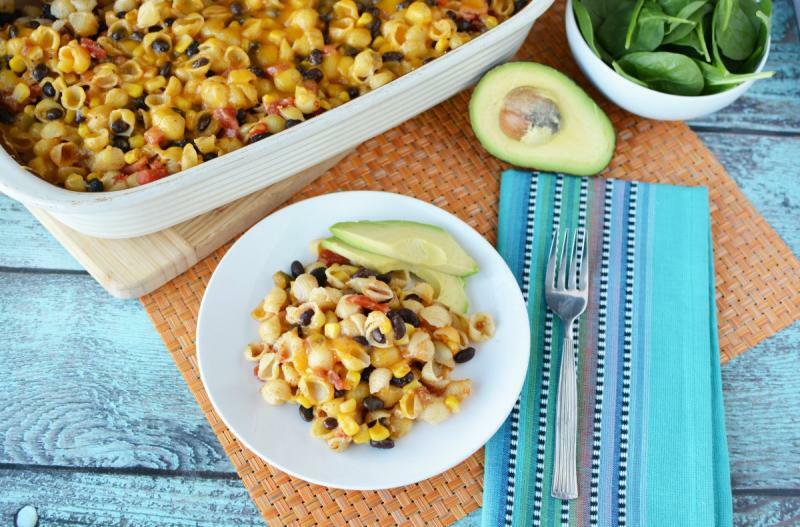 Serve Vegetarian Tex-Mex Pasta Bake with avocado garnish and salad. Open and drain 4 cans of black beans and 2 cans of corn. Open 2 cans of diced tomatoes. In a large mixing bowl, mix together all of the black beans, corn, and diced tomatoes with 2 Tbsp minced onion, 2 tsp garlic powder, 4 Tbsp chili powder and 2 tsp ground cumin. Season with salt and pepper. Omit the shredded cheese on top for dairy-free meal. Recipe is gluten-free when made with small shell gluten-free pasta. Thaw completely and bake at 400 F for 15 minutes. Serve with avocado garnish and side salad.